1. Humans are at the heart of 4IR. The jobs which will become important in future are those that emphasise our human nature – and it is up to humans to define what is ethical, learning from our flaws to ensure the future of technology is the best of humanity, according to IoD programme lead Janhavi Dadarkar: programmes ultimately learn what humans teach them. Lucy Winkett, rector of St James’ Church in Piccadilly emphasised that it is our beliefs that will shape algorithm planning, while Avon Products’ case study of digital transformation demonstrated that purpose can underpin change. 2. It’s time to embrace change. HR must help their people to befriend rather than fear the rise of the machines, argued Jonas Prising, chairman and CEO of ManpowerGroup. After all, tech frees people to work at the top of their ability and is revolutionising industries – including healthcare, as outlined by Prof John Mattick, visiting professor at the University of Oxford. Rather than being engaged in a power struggle with machines, humans must achieve power over themselves, in order to identify and dissolve the limits we have unconsciously accepted, added author and philosopher Robert Rowland Smith. 3. Tech will revolutionise the jobs of tomorrow. Education and Employers’ director of operations Katy Hampshire urged business leaders to help train and inspire the next generation, whose jobs landscape will look very different to today’s. Equally, we have much to learn from the digital natives of generation Y, pointed out Duke Corporate Education’s regional MD for Europe, Adam Kingl, addressing the evolution of work, management and leadership, in a later session. Gen Y is giving us a model for more human-centric leadership. 4. We all own the skills gap. All learning must be redefined for the 21st century, explained City & Guilds Group MD Kirstie Donnelly, involving a mindset shift towards lifelong learning, delivered in a variety of ways to suit individual preferences and learning styles. As the world changes, only those who adapt can survive, warned author and psychologist Matthew Syed, while Dr Nigel Spencer, senior client director at Said Business School, proposed that ‘poly-technic’ (many-skilled) professionals will be the business differentiators in an automated world. 5. Inclusion and respect will be key to success. Following the #MeToo movement, respect at work – or a lack thereof – is a huge talking point inside and outside of the workplace, asserted Tracy Groves, CEO of Intelligent Ethics. Inertia reinforces toxic behaviour: are we complicit or complacent? 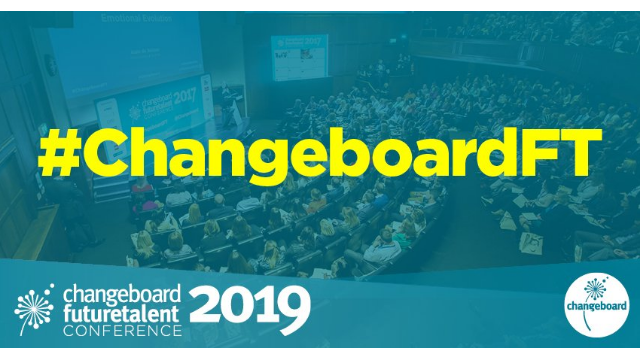 The changes driven by technology provide an opportunity to re-boot our thinking, and redefine the talent pools from which we can source our future talent, concluded Changeboard CEO Jim Carrick-Birtwell. Leadership teams must consider what constitutes true inclusion and respect in a digital age.